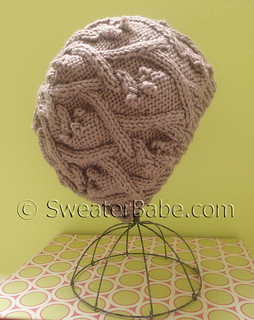 It’s knit from the bottom up entirely in the round on big needles. A fairly quick knit with interesting cable work. 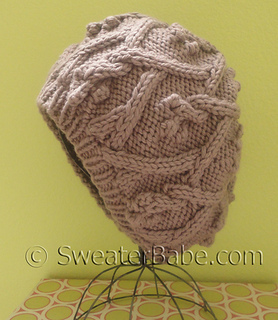 A fun hat to add to your winter wardrobe and show off your knitting skills. Great stash buster as well! 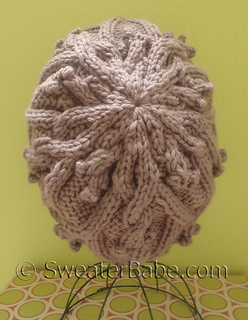 Pattern Gauge: Approx 24 sts = 4 ¼“ 11 cm and 20 rnds = 4” 10 cm in Trellis Cable stitch patt..